PM Modi is on a three-day visit in Gujarat, he is there for the inauguration of the ninth edition of the Vibrant Gujarat Global Summit. After the inauguration, he later went on shopping and purchased one Khadi Jacket. 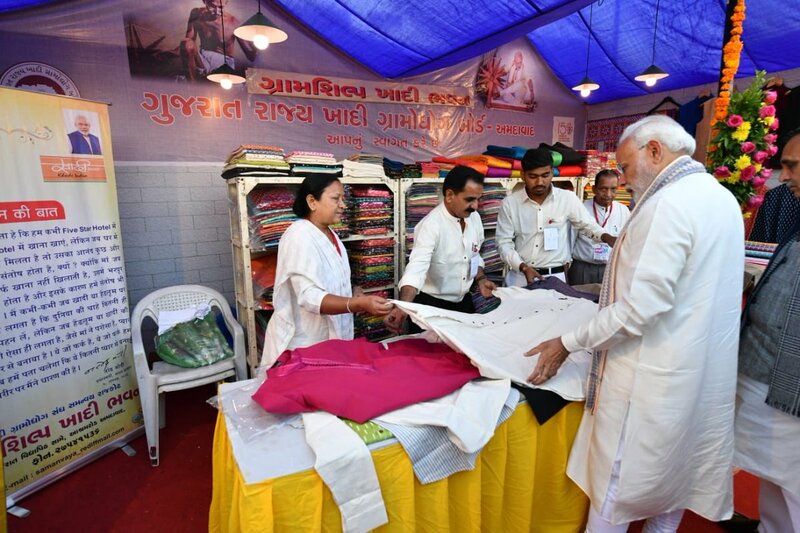 PM Modi stopped at the KVIB stall where he was seen smiling, he then started to browse some Khadi Jackets that they were selling. 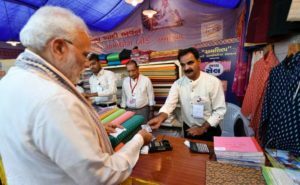 After choosing a Khadi Jacket, he then paid using his RuPay Debit Card. RuPay is an India card scheme that was launched by the NPCI (National Payments Corporation of India) back in 2012. PM Modi is referring to use this card, he even said that this is India’s answer to international payment cards like Mastercard and Visa during his Digital India Campaign. He added, that during his trip to Singapore he used RuPay to buy some goods, and it worked well he said. Prime Minister Modi also tweeted a picture of him while buying a khadi jacket while using his RuPay Card, he also urged everyone to buy Khadi Jackets. PM Modi added, that this is a great tribute to Mahatma Gandhi. The Shopping Festival in Ahmedabad is to be held from January 18-20 in Gandhinagar. The festival will provide locals a platform to showcase their products and goods.